The malicious files seem to be changing. It started with the classic FakeAV, then switched to a fake PRISM warning. In both cases, the goal is to scare the target into paying the attacker to “fix” their computer. 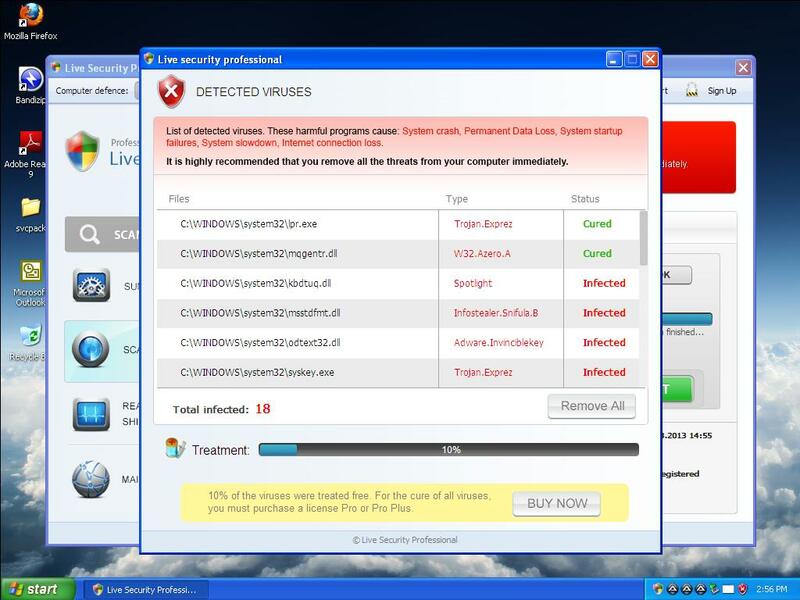 FakeAV remains a popular technique to lure targets into paying attackers. Most of the instances of FakeAV that Zscaler reported earlier were running a fake computer scan in the browser. This time it appeared as a Desktop application. The scan claims to have found 18 threats. Two have been cured, but the victim must pay to get the remaining 16 threats taken care of. The other malware is interesting. The attacker uses the recent news about PRISM to claim that the victim’s computer has been blocked because it accessed illegal pornographic content. The victim has to pay $300 through MoneyPak, a prepaid card service. Victim needs to pay up $300 to get his computer back. Zscaler expect attackers to take advantages of the upcoming UK laws on accessing adult content online to send new types of fake warnings to UK victims.